End Times events have gradually taken over the mind of the Christain and this can be survived for Salvation through a good understanding of the Bible. The Lord was pleased, for his righteousness’ sake, to magnify his law and make it glorious. Isaiah 42:21, R.S.V. Through the devices of the great apostate, man has been led to separate himself from God and has yielded to the temptations of the adversary of God and man in committing sin and breaking the law of the Most High. God could not alter one jot or tittle of His holy law to meet man in his fallen condition; for this would reflect discredit upon the wisdom of God in making a law by which to govern heaven and earth. But God could give His only-begotten Son to become man’s substitute and surety, to suffer the penalty that was merited by the transgressor, and to impart to the repentant soul His perfect righteousness. Christ became the sinless sacrifice for a guilty race, making men prisoners of hope, so that, through repentance toward God because they had broken His holy law, and through faith in Christ as their substitute, surety, and righteousness, they might be brought back to loyalty to God and to obedience to His holy law…. The life and death of Christ in behalf of sinful man were for the purpose of restoring the sinner to God’s favor, through imparting to him the righteousness that would meet the claims of the law, and find acceptance with the Father. But it is ever the purpose of Satan to make void the law of God, and to pervert the true meaning of the plan of salvation. Therefore he has originated the falsehood that the sacrifice of Christ on Calvary’s cross was for the purpose of freeing men from the obligation of keeping the commandments of God. He has foisted upon the world the deception that God has abolished His constitution, thrown away His moral standard, and made void His holy and perfect law. Had He done this, at what terrible expense would it have been to Heaven! Instead of proclaiming the abolition of the law, Calvary’s cross proclaims in thunder tones its immutable and eternal character. Could the law have been abolished, and the government of heaven and earth and the unnumbered worlds of God maintained, Christ need not have died. The death of Christ was to forever settle the question of the validity of the law of Jehovah. 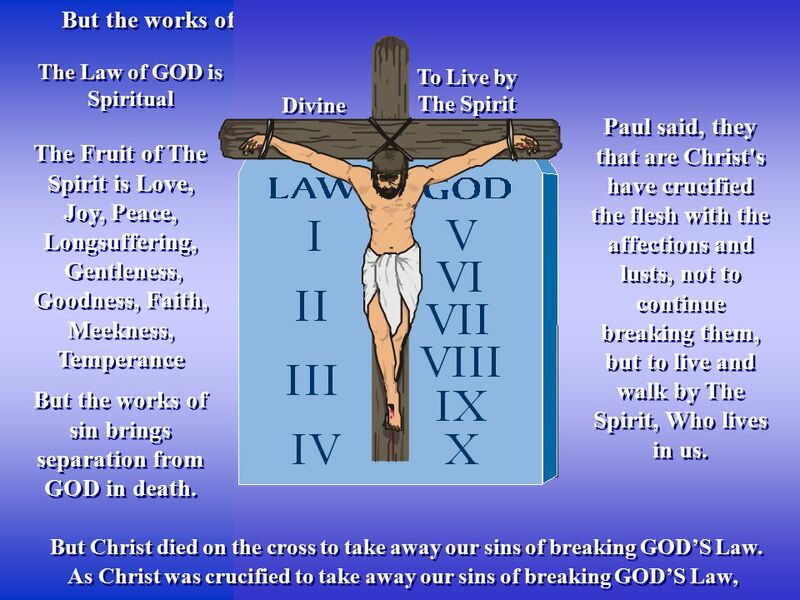 Having suffered the full penalty for a guilty world, Jesus became the mediator between God and man, to restore the repenting soul to favor with God by giving him grace to keep the law of the Most High. Christ came not to destroy the law or the prophets, but to fulfill them to the very letter. The atonement of Calvary vindicated the law of God as holy, just, and true, not only before the fallen world, but before heaven and before worlds unfallen. Tagged End Time, Faith, Law, Life, Salvation., Trust, Truth.